Armstrong introduced digital water temperature control to the world with The Brain Digital Recirculating Valve (DRV). 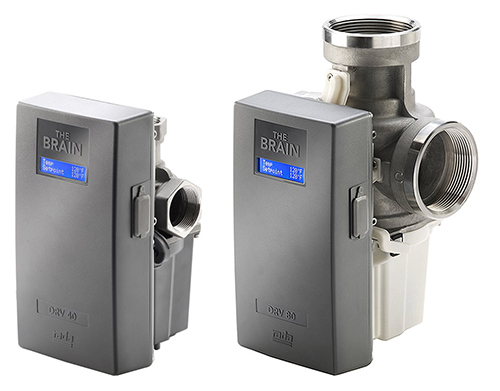 Engineered exclusively for recirculating hot water systems, The Brain simplifies your hot water system to deliver unparalleled accuracy, stability and safety. It offers programmable temperature alerts and a program to promote compliance with recommended Legionella guidelines. The Brain features the following capabilities. 3. 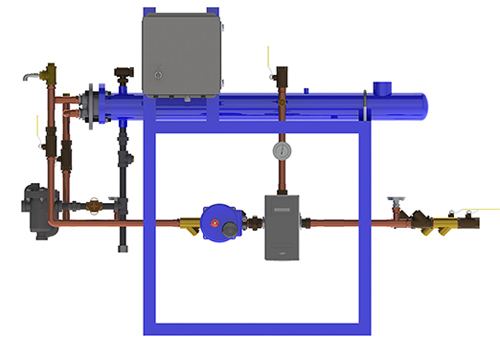 Automatic shutoff of hot water flow upon cold water inlet supply failure. Armstrong offers The Brain in hot water generation and control packages for a complete solution to hot water needs. These packages offer simple installation with simple 5-point connection. 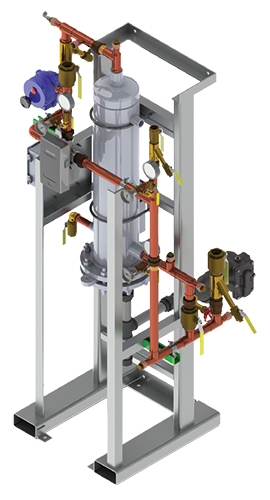 Shell & Tube Steam-to-Water Hot Water Generation Package. 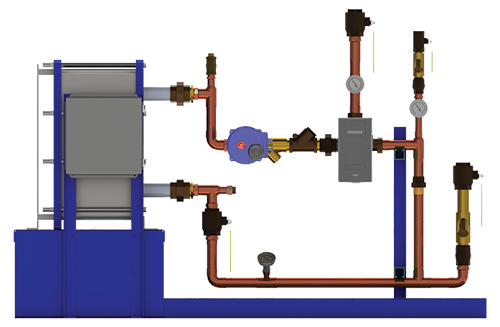 Digital-Flo Semi-Instantaneous Steam-to-Water Hot Water Generation Package. 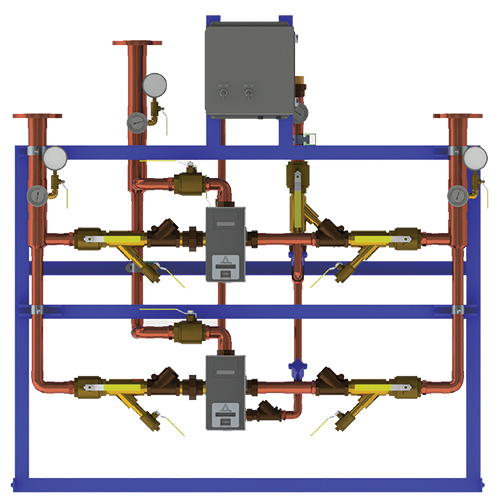 Digital-Flo Instantaneous Boiler Water-to-Water Hot Water Generation Package. Please contact us with your hot water needs.